2 Bdrm Top flr Executive flat. Hall. Lounge/Dining kitch on open plan. 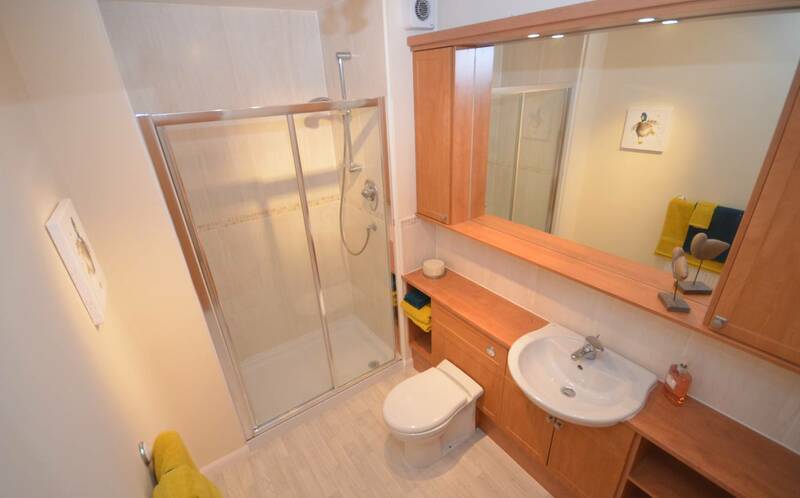 2 Bdrms 1 with ensuite bathrm. Shower rm (CT band - D). Parking. 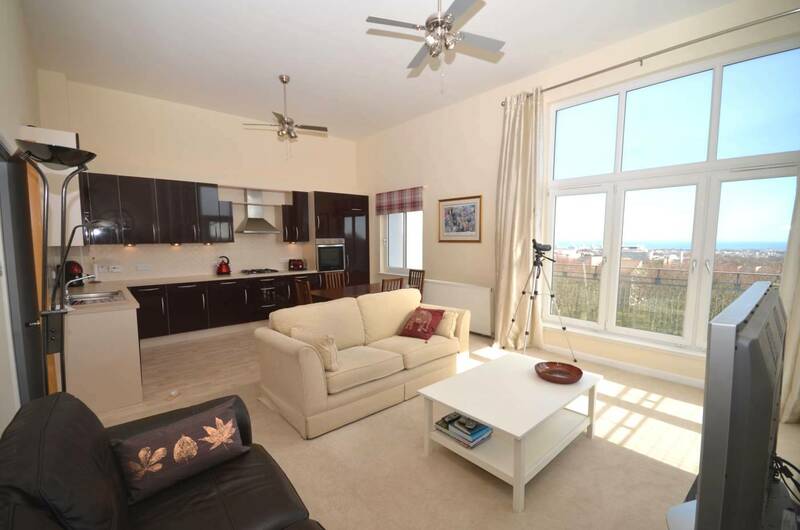 Price over £179,000 Entry by arr. Viewing contact solicitors. (EPC band - C). 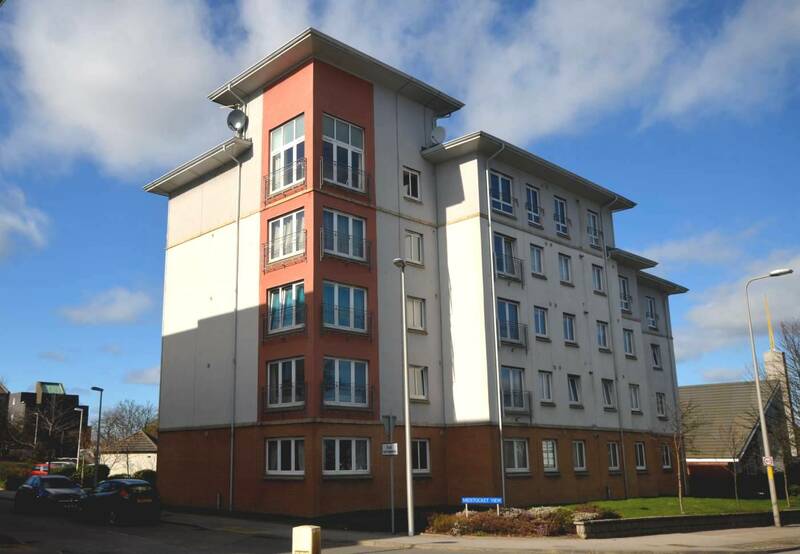 We are delighted to present for sale this Two Bedroom Top Floor Executive Apartment with excellent views over the City and located within walking distance of Aberdeen Royal Infirmary and the office development at Hill of Rubislaw. 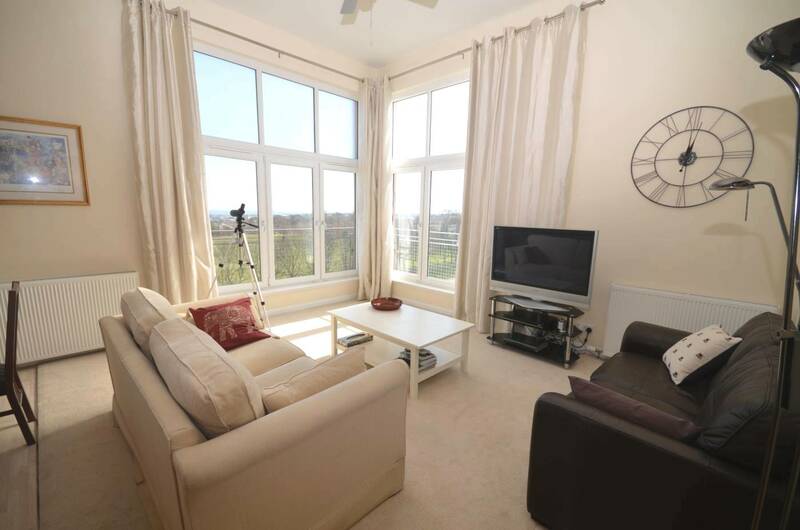 The Apartment offers bright, well proportioned accommodation within well maintained communal areas and lift access to all floors. Internal accommodation includes an Entrance Hallway offering excellent storage facilities and access to all internal accommodation, the Lounge is on open plan with the Dining Kitchen and features two large corner windows with superb views with the Dining Kitchen fitted with an attractive modern high gloss wall and base units, integrated appliances and under unit lighting with ample space for dining. 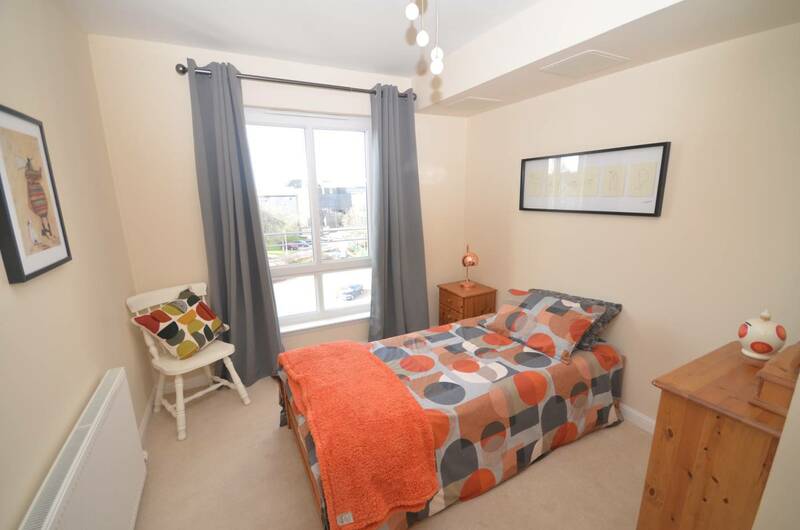 The Master Bedroom benefits from built in wardrobes and an En Suite Bathroom. Located to the rear, the second Double Bedroom benefits from built in wardrobes and the master Shower Room completes the accommodation. The property has an abundance of storage cupboards and benefits from Gas Central Heating, Double Glazing and Security Entry System. Note: Some items of furniture may be included in the sale price. 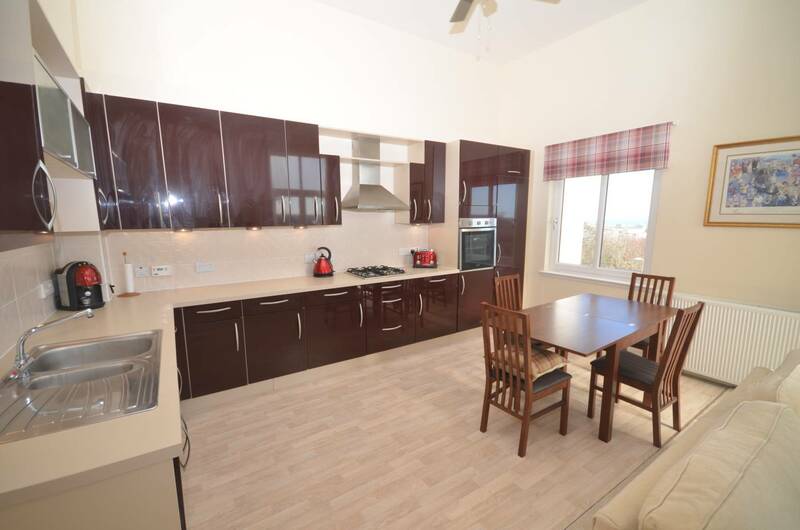 The well maintained communal areas are maintained under a Factoring Arrangement, with an exclusive wide parking space, located nearest the building set in the landscaped gardens together with visitors parking, bin store and bike shed. There is a lift within the communal hall giving access to all levels. Entrance Hallway: Accessed from the communal Hallway this spacious Entrance Hallway benefits from an abundance of storage with three cupboards housing the water tank and boiler. Giving access to all accommodation; carpet and radiator. 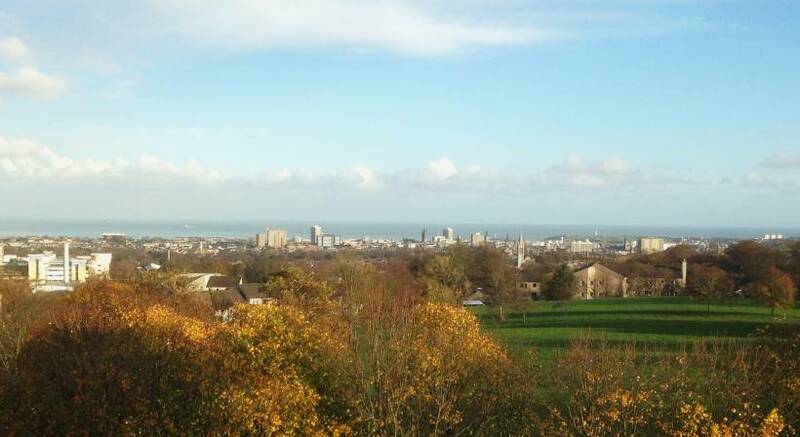 Lounge / Dining Kitchen on Open Plan: (22’ x 15’5 approx) Bright well proportioned main public area with the Lounge space featuring full length corner windows with excellent views over the city towards the sea. High ceilings with ceiling fans; carpet; radiator and telephone point. The Dining Kitchen comprises modern high gloss wall and base units with coordinating work surface, under unit lighting and splash back tiling; stainless steel sink with mixer tap; integrated gas hob; stainless chimney hood; integrated oven; fridge freezer and washing machine. Laid with vinyl flooring; radiator; front facing window. Ample space for dining table and chairs. Master Bedroom with En Suite Bathroom: (12’8 x 11’5 approx) Spacious Master Bedroom benefiting from built in mirror wardrobes with shelf and hanging rail; rear facing window; carpet and telephone point. 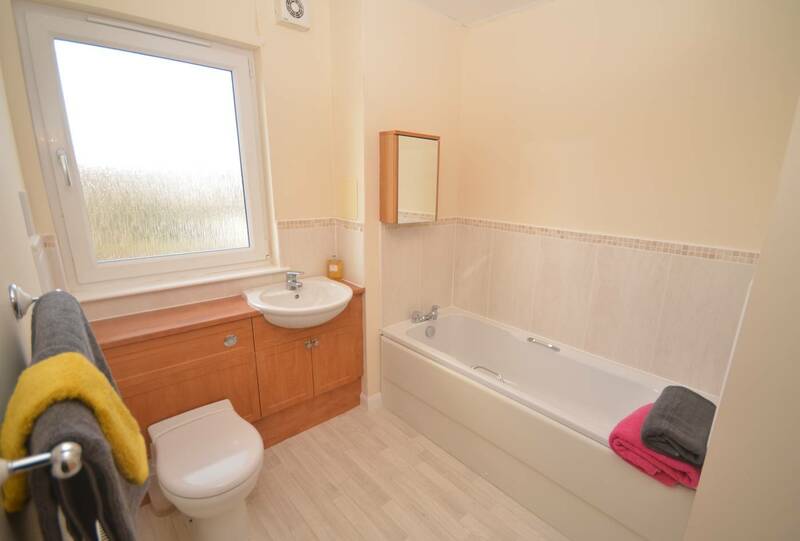 The En Suite Bathroom comprises white w.c and wash hand basin which are set in vanity unit; bath with attractive splash back tiling; separate one and a half shower cubicle with splash back tiling; radiator; shaver socket; extractor fan and frosted rear facing window. 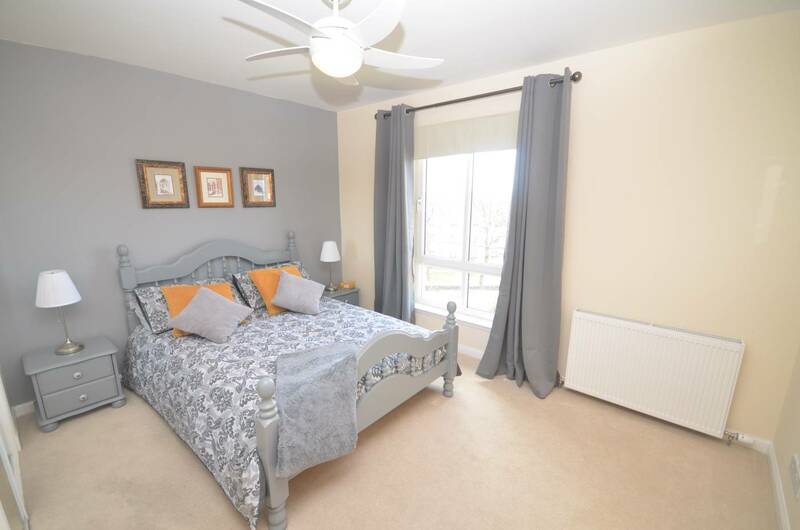 Bedroom 2: (11’7 x 9’2 approx) Further Double Bedroom benefiting from built in mirror wardrobes with shelf and hanging rail; carpet; radiator and large rear window overlooking the carpark and garden grounds. Shower Room: Master Shower Room comprising white w.c and wash hand basin set in vanity display unit with one and a half separate shower cubicle with splash back tiling; extractor fan; shaver socket and radiator. 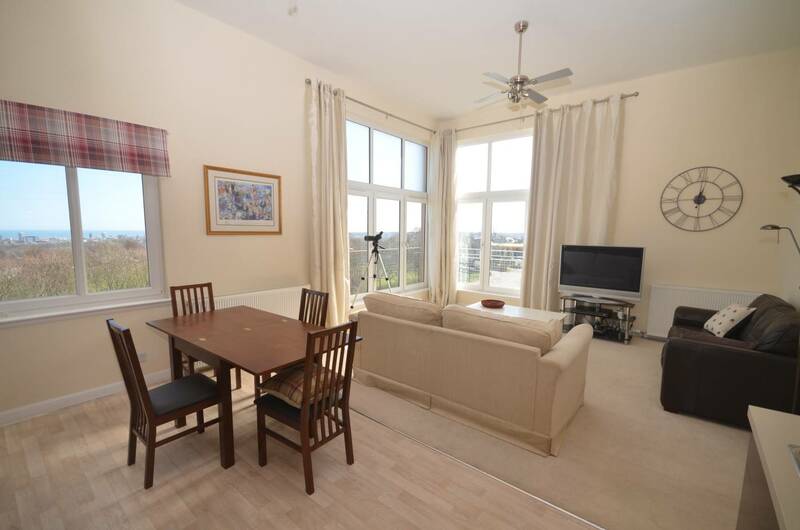 OUTSIDE The well maintained communal areas area maintained under a Factoring Arrangement, with an exclusive wide parking space located nearest the building set in the landscaped gardens together with visitors parking, bin store and bike shed. There is a lift within the communal area giving access to all levels. DIRECTIONS Travelling from the City Centre proceed on to Alford Place, Albyn Place and thereafter on to Queens Road, At the Anderson Drive roundabout, proceed to the right on to Anderson Drive. Continue straight across the next roundabout, over the next set of traffic lights and Midstocket View is the development on the left hand side. On entering the car park, number 45 is located in the first building on the right hand side. LOCATION Midstocket View is situated just off the Aberdeen Ring Road and accordingly most parts of Aberdeen City are readily accessible by a variety of arterial routes with the location being particularly convenient for Woodend and Foresterhill Hospitals, the oil related offices at Hill of Rubislaw and a wide range of offices in the west end of the City. 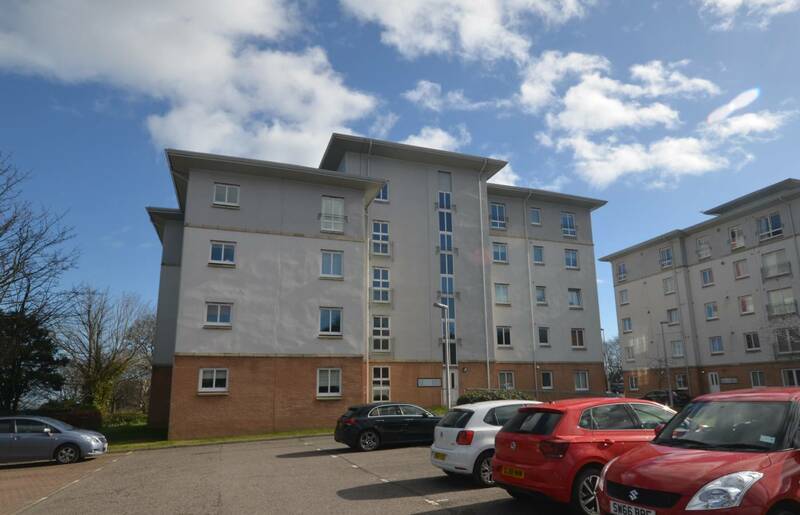 The location is also well served by local shops and given the location easy accessibility is also available to the oil related offices at Bridge of Don, Westhill, Kingswells.